The Sculpin is a testament to our humble beginnings as Home Brew Mart. It showcases bright flavors and aromas of apricot, peach, mango & lemon. The lighter body also brings out the crispness of the hops. 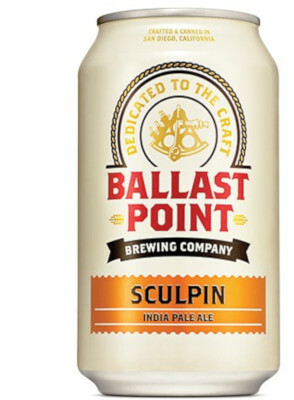 This delicious Ballast Point Ale won a gold medal at the World Beer Cup 2010 in the International Pale Ale category. The Sculpin fish has poisonous spikes on it’s fins that can give a strong sting. Ironically, the meat from a Sculpin is considered some of the tastiest. Something that has a sting but tastes great, sounds like a Ballast Point India Pale Ale.